Astrophysical observations tell us that about 85% of all matter in the Universe consists of a new and as yet unknown type of matter, so-called non-baryonic Dark Matter. 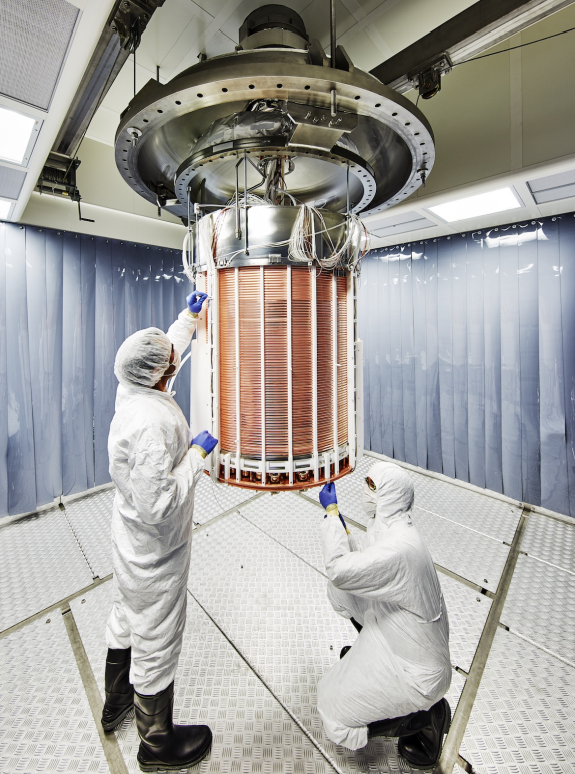 Not only does Dark Matter not emit light, as the name suggests, but it is also completely transparent. (Strictly speaking, we only have limits on how little light Dark Matter emits or absorbs.) What is the nature of this elusive Dark Matter? This is one of the central questions in physics today. Our group attempts to address this question, in the framework of an international collaboration, by searching for the rare recoils that Dark Matter particles are expected to undergo with regular atomic nuclei. 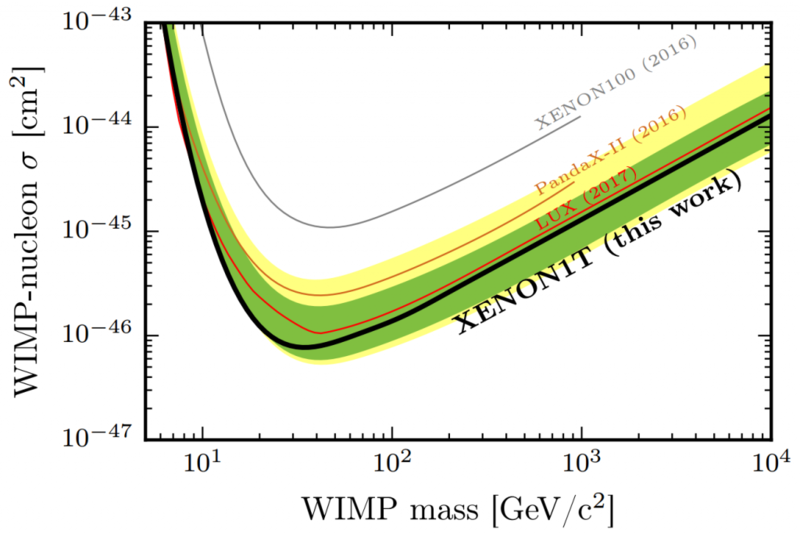 Located in the Gran Sasso underground laboratory in Italy, the XENON family of experiments - XENON100 which has been decommissioned, XENON1T is producing results and XENONnT is under development - pushes the limits of sensitivity deep into the parameter space predicted for one of the leading WIMP candidates - supersymmetric neutralinos. This sequence of experiments follows a path of increasing mass in steps of ~one order of magnitude, while reducing the background by ~two orders of magnitude. 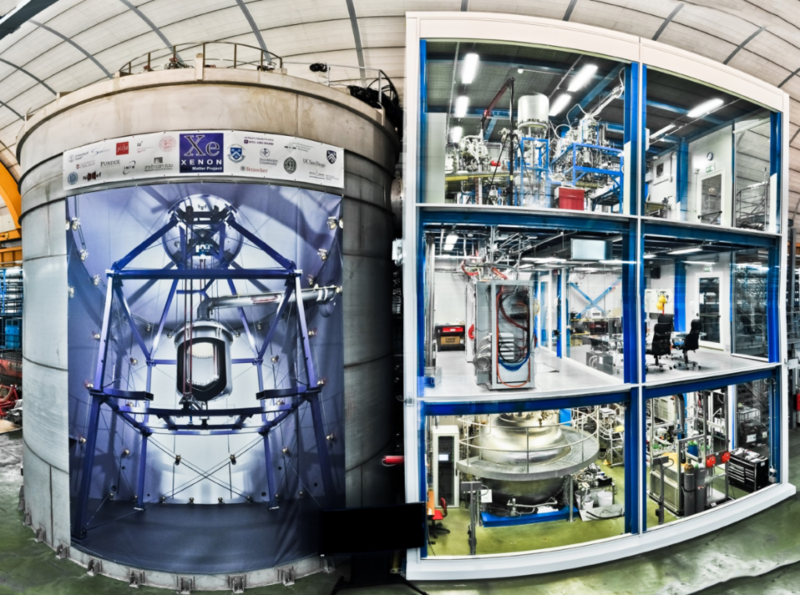 Even further ahead, we are also studying the feasibility of multi-ton liquid xenon and liquid argon Dark Matter detectors within the framework of the DARWIN and MAX collaborations. Our group works both on data analysis and simulations as well as on the detector technology. For more information on our activities see also here. Please have a look here for Bachelor, Master and PhD theses in the ETAP group.